The company was previously spotted testing Lexus RX450h crossovers in public roads. Apple and its efforts in the self driving car space have been quite closely followed. 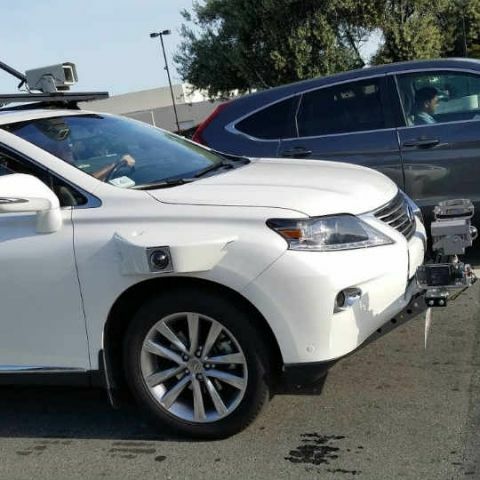 The company kept mum for the longest time, until a Bloomberg report claimed to spot a Lexus crossover being used by the company to test its autonomous driving technology. A new Bloomberg report now claims to have gathered a document from the California Department of Motor Vehicles that reveals Apple to be partnering with Hertz’s Donlen Fleet Management subsidiary for sourcing vehicles on which it is putting the technology to test. Owned by The Hertz Corporation, Donlen provides fleet leases to companies for various business purposes. Apple’s leasing model for testing autonomous driving technology may be more prudent as it would give the company a wider range of driving platforms to test its technology on. CEO Tim Cook stated earlier that the company is indeed working on autonomous driving technology, simultaneously divulging that like most of Apple’s endeavours, the main intention here is to build a platform to power future automobiles. With such plans, it may be the best fit for Apple to work on multiple vehicles instead of partnering with specific OEMs. Google’s Waymo has been working with Chrysler to showcase its technology, and have previously used Lexus’ crossover vehicles for on-road tests. It remains to be seen how Apple proceeds with its tests, and the type of fleets that it employs in future.